We have added a new all-natural product line, Samaya, which focuses on healthy skincare using Ayurvedic principles. Have you heard of Ayurveda? For those of you who are not quite sure what it is or how it works, we wanted to take the time to shed some light on the subject. 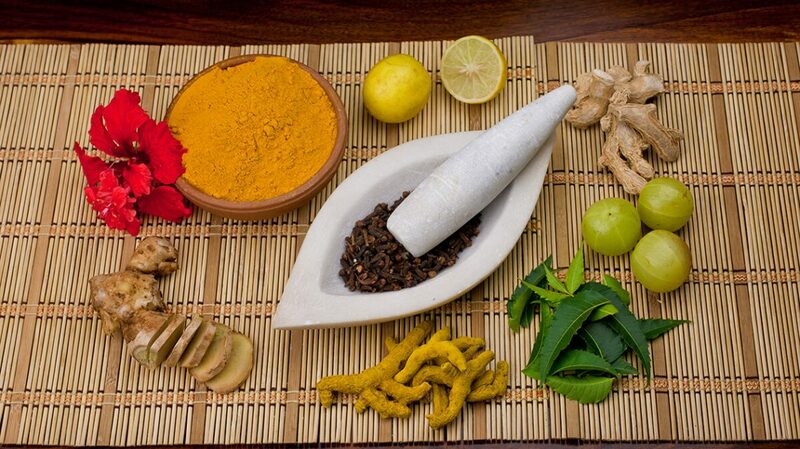 Ayurveda is a health system from India that began thousands of years ago. Amazingly, it’s still in use today and has actually spread from the Eastern world to the Western one. You may have been exposed to aspects of this health system within your yoga practice, meditation classes or other related activities. This health system is a holistic one that focuses on the interconnection of the mind, body and soul. It follows the idea that creating balance improves health. 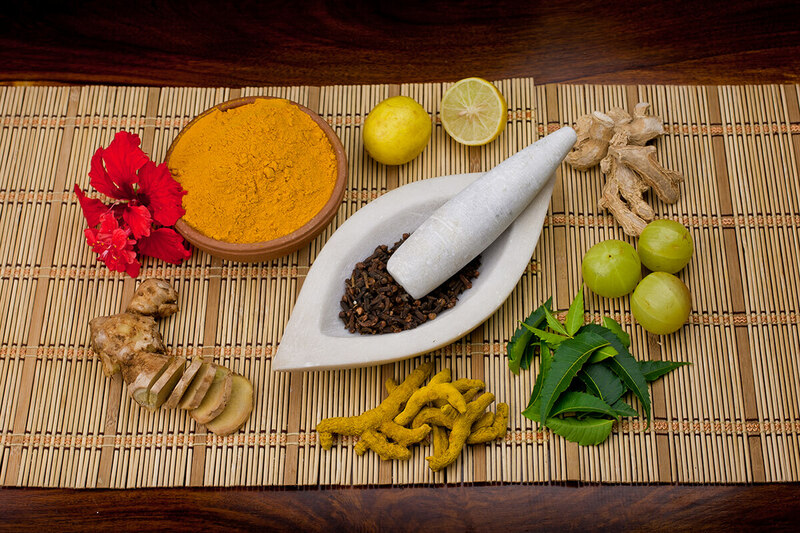 Ayurveda has much more to it than can be discussed in one blog post. Nonetheless, a main aspect is the belief in three doshas, which are energies that make up universal life force. These three energies are known as Vata, Pitta and Kapha. Each person has some of the three doshas yet tends to be dominant in one or two. Your dominant dosha impacts your life in many ways, such as how situations and conditions affect you. The goal of knowing your dosha is to find a perfect balance, which helps you achieve better mental and physical health and wellbeing. To achieve this, you can personalize your lifestyle based on your predominant dosha or mixture of doshas. What Is Your Dominant Dosha? To best meet your health and wellness needs, start by learning your dominant dosha. You might be dominant in one dosha while showing limited characteristics of the others, or your type could include a mixture of two or all three of the doshas. The doshas are associated with the elements of air, space, water, earth and fire. Certain emotional and physical characteristics identify each dosha in a person. People with a predominantly Vata dosha tend to be thin and agile. Vata is associated with cold, dryness, movement, adaptability and similar characteristics. This dosha is connected with air and space elements. With this dosha, you could expect to alternate between having high energy and crashing. A typical Vata dosha person could have a life that’s full of change, adventure and creativity. Some problems associated with this energy are anger, fatigue, light sleep, a fickle digestive system and dryness of the skin and hair. When this dosha is unbalanced, the person could expect worrying, anxiety, stress, insomnia, constipation, arthritis, high blood pressure and other symptoms. The Pitta dosha tends to show itself in a medium-sized body type. It is comprised of fire and water elements and associated with qualities such as intensity, heat and a passionate sensibility. Those with predominant Pitta energy tend to be smart, witty and ready to speak their minds. They have high body temperatures, good skin and strong digestive systems. Nonetheless, people with this dosha often have hair problems, like thinning or balding. When Pitta is out of balance, you could expect negative symptoms such as rashes, anger, impatience, heartburn, indigestion and more. The third dosha comes with a body type that is strong and heavy. Earth and water elements make up this dosha, which is connected to slow, cold, oily, heavy and similar characteristics. When Kapha dominates within a person, he or she is likely to be calm, slow, patient and supportive, with nice skin, good sleep and healthy digestive function. Some Kapha characteristics on the negative side include not being able to let go of past situations and stubbornness. When the person’s Kapha is out of balance, he or she could be prone to excessive weight, allergies, insecurity and various health problems. The previous overview only scratches the surface of what there is to know about each dosha. You’ll notice aspects of each dosha within yourself because each person is made up of them all. However, you’ll probably realize that you sound the most like one or two of them. Which description(s) did you connect with as you read? As you can see, each dosha based on Ayurvedic principles comes with symptoms that show when it is out of balance. It’s easy to see that an imbalance causes the person to not be her best self. It’s important to focus on balancing the dosha to reduce theses negative symptoms and create better health. By learning your dosha(s), you can work toward the goal of perfect balance. Sharon Therien is a freelance content marketing writer and copywriter who specializes in health. She is passionate about holistic health and has experience teaching yoga and working in a non-profit hospice.